Considered a cultural backwater for centuries during imperial China, Hainan has always served as an alcatraz for prominent Chinese exiles. Tourism only arrived in the later half of the current century to this tropical island located right at the southern-most latitude of China in the form of domestic touring - principally for the beaches and seafood. The China we know nowadays is mostly grimy and smoggy, but hey, the air in hainan is fresh. Whilst Beijing and Shanghai are now the new kids on the rich block, economic progress has remained somewhat subdued, but the other side to this - the way of life is largely left undisturbed. 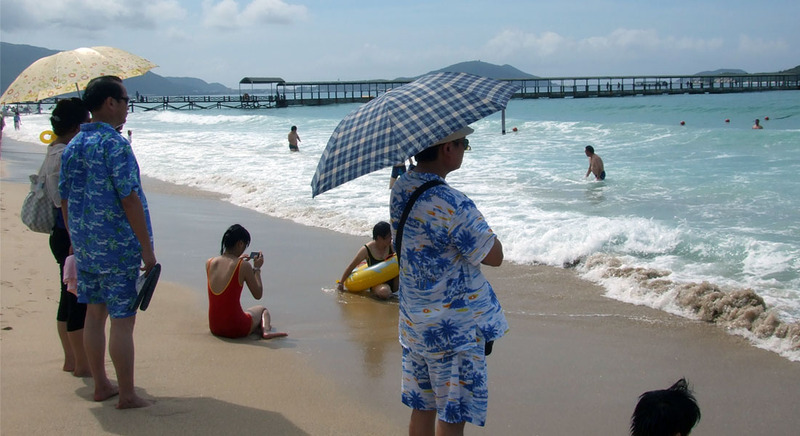 Tourists coming to Hainan are usually mainlanders escaping the chills of winter. Russians too, form quite a bulk, especially to the city of Sanya. The best time of the year to come is anywhere but from May to late July, where temperatures swell to mid 30s and humidity becomes bothersome. Anytime else, the temperature becomes mild, tolerable but naturally hotel prices will soar. Expect 50-60% off hotel rack rates outside tourist seasons and national holidays. So who are the Hainanese? The Hainanese are mostly Han Chinese who emigrated to the island from the province of Fujian. Their dialect is a descent of the Min Nan (Hokkien) dialect but now evolved to be mutually intelligible. Some Hainanese speak Cantonese as well, given their proximity to Guang Dong. Standard Chinese is widely spoken and understood. Should I travel to Hainan? Ask yourself very sincerely, what do you hope to do in Hainan? a) I have seldom/never been to China, and I would like to experience the tropical life in China. This would be the best reason to make a trip to Hainan. b) I'm intrigued by the minorities of Hainan and would like to visit them and perhaps experience their way of life. As I did not make any attempt to reach out to the minorities in Hainan, namely, to visit the mountainous regions, I am not qualified to advise you on this. c) I want to be chilling at a beach for a couple o'days, maybe snorkle a little or waste my time on a pristine, blue-watered beach. 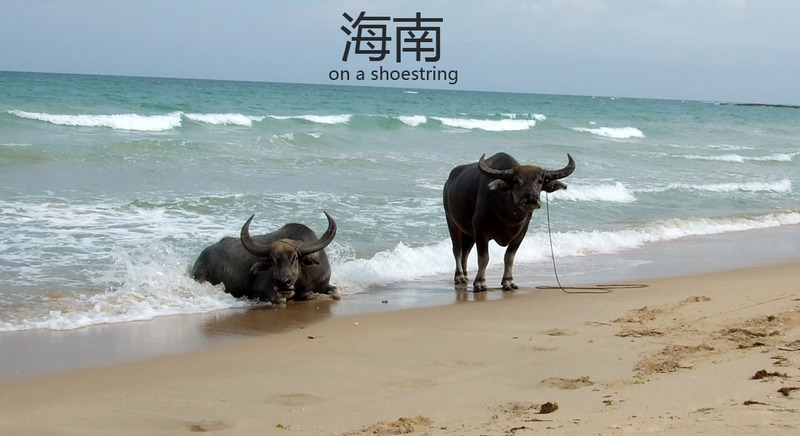 Coming to Hainan island for this reason will leave you weathered for many reasons. Firstly, the beaches in Hainan, whilst mostly clean, never appear quite close to be considered clear. The better, more pristine beaches are also more destroyed by human settlement, swamped by endless queues of mainland tourists donning Hawaiian shirts and their brand new DSLR cameras or come at ridiculously high prices. Yalong Bay, for example, is a (quite) beautiful stretch of sandy beach with surfable waves situated about 20 kms away from Sanya. The beach is free for all to use, but all the umbrellas and resting huts are made private for resort occupants only. Prices for the resorts start at approx RMB$1500 and on top of that, hordes of above-mentioned stereotypical Chinese tourists will be there, eagerly snapping many photographs but very few will take off their top to join in a swim. The dreadful Hawaiian shirts on Mainlanders wielding umbrellas. Alright, so where should I go in Hainan? 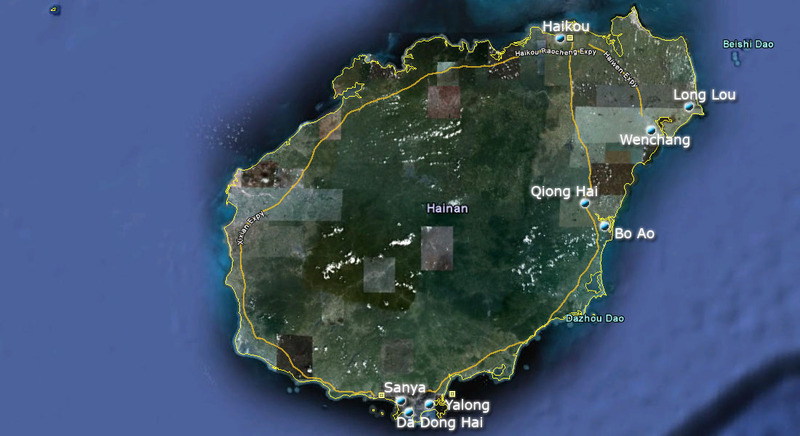 Hainan island is comparable to the size of belgium, so expect to take hours getting from 1 place to another. Most travellers reach Sanya via Mei Lan airport in Haikou, where Tiger Airways operates a convenient daily flight from Singapore. Haikou most regularly serves domestic airlines connecting anywhere from Beijing to Urumqi. It is possible to take a connecting train from Guang Zhou as well, but that will eat up 20 odd hours of your time. Sanya has its own Pheonix airport, and some travellers (especially from Russia) take a direct flight to Sanya. This is not a wise move, as I feel that the highlight of Hainan rests in the little bustling streets of Haikou. The whole of Hainan is linked by 3 major highways. Travelling on a highway means quicker transportation. Little roads criss-cross towns and cities, but taking a local bus on these non-highways will mean jumpy buses, frequent stops to gather/alight passengers and hence adding unnecessary travelling time. However, that also means you can get to see off-the-beaten-track sights and encounter everyday Hainanese. Sources have warned of the rickety and sub-standard sea sport activities in Hainan, which could mean a lethal dive. I did not try these activities, hence cannot comment on them. But please, caveat emptor applies - if you have a gut feeling that the oxygen tank/suits are substandard somewhat, don't risk your whole life ahead of you for something that wont last more than an hour. No real danger otherwise exists on this sunny island, besides the infrequent Malaria. The most annoying thingto me is the way tourists are treated by the average salesperson. More often than not, if you are not a local or confused by a certain thing, you will simply be ignored. Further questioning on the item will make the salesperson/local visibly exasperated and rude/poor attitude will be flashed right before your eyes. Is such attitude targetted towards tourists? Mostly. I've walked into a local eatery and got completely ignored despite my polite enquries on what's there to eat in the place. However, despite such poor service standards I notice the island to have a peaceful character and outside of Sanya, any criminal acts/violence is probably a rare occurance. When you initiate a conversation in Standard Mandarin (Pu Tong Hua), most local Hainanese will also gladly join in a short conversation. Another important annoyance and potential danger is the ubiquitous 3-wheeled motorcycles and trishaws in all towns and cities. Outside of Sanya, this mode of transportation becomes important as taxis are rare. However, in Sanya, these devilings will tout and then lie to you, telling you they can bring you to another place for even fresher and cheaper seafood, only to find yourself in a rickety vehicle driving precariously between chaotic Chinese traffic and landing up in an expensive live seafood restaurant (Da Pai Dang) who will later pay commision to the driver. Da Pai Dang are also all over Hainan, and try to avoid them if possible. They lack the hygiene of a restaurant and have the character of a ruffian. Besides, their meals are overpriced and if you do not order their overpriced live sea food, they will display their rude service attitude and gangsterism. Boycott them and pay a little more for the comfort and professionalism in a proper restaurant. Local road-side stalls, while their hygiene is questionable, have excellent attitudes. 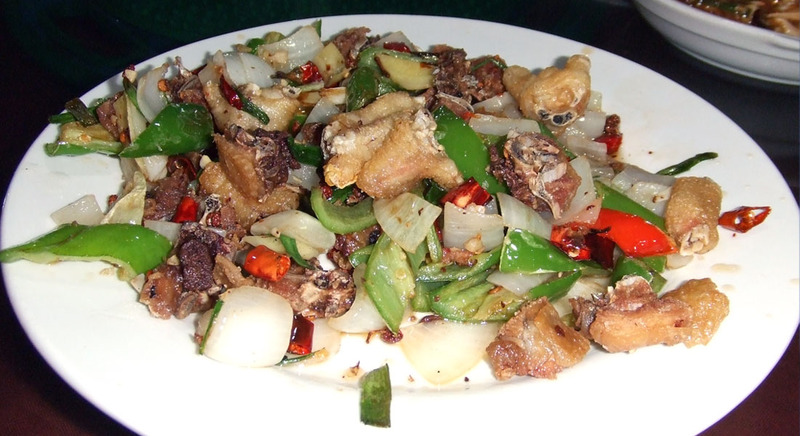 A meal of inedible chicken neck and feet, proudly served by the extortionists of Da Pai Dang eateries in Sanya.